Psycho Holiday was one of the most acclaimed events in Heavy Metal Wrestling’s short history. Headlined by Japanese comedy legend Kikutaro taking on Dillon Divine, Psycho Holiday was no joke and delivered with a card that simply could not be beat. 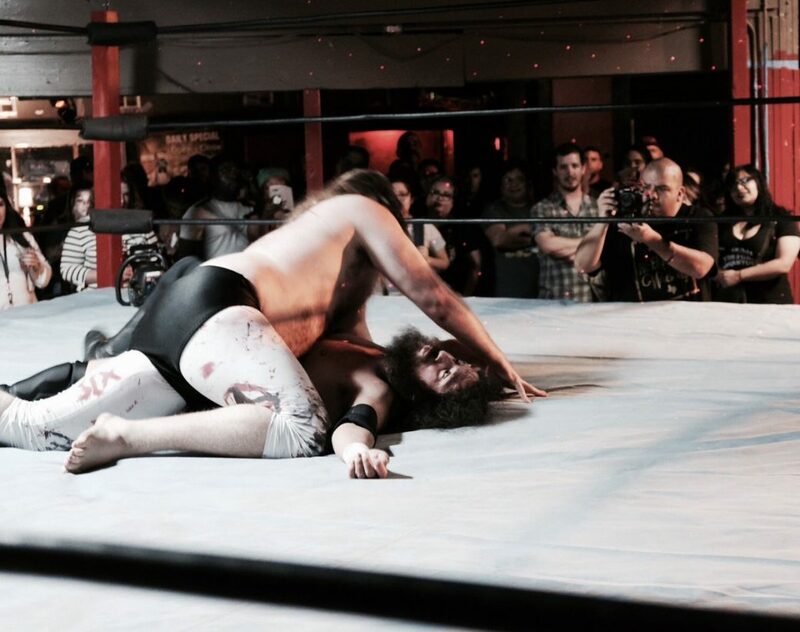 The fans in the Guillotine witnessed the mayhem and brutality that was The Hooligans, when they brutalized Ethan Price and Kody Lane, despite Lane and Price stealing a victory. Great Scott used every trick in the book to defeat “The Big Margoogliack on Campus” Mikey McFinnigan. Terrale Tempo was victorious in his effort over Kiefer Bartek, submitting “Startek” with a crossface in the center of the ring. “The Pink Dream” Alex Gracia bested Alexa in a match that pitted two friends against each other. In a fatal four way match that showcased the very best Cruiserweights in the United States, “Jazzy” J Serious stood head and shoulders above “The Warhorse” Jake Parnell, El Fantastico and Zac Taylor. In a surprise match, Heavy Metal Wrestling’s ring announcer Dylan Dunbar defeated Tony Tejano. And in perhaps the most wild match of the evening, “The Heavy Metal Berserker” was able to secure a victory over “The Wildman from the Ozark Mountains” Alex Herzog! If you missed Psycho Holiday, you should be kicking yourself! PSYCHO HOLIDAY to take place on April 13th, 2018! 2 Minutes to Midnight announced!